Nothing better than watching baseball on a nice night. This was taken Tuesday night. The sun was setting behind me. 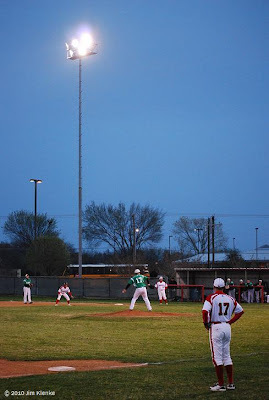 I added 15 photos from the game to the Terrell Daily Photo Facebook page.